Programmatic, split-funnel attribution and retargeting are no longer martech buzzwords, they’re viable solutions for marketers wanting a more solid return on their investment, according to Quantcast’s CEO and co-founder, Konrad Feldman. Feldman has enjoyed a long-time fascination with machine learning starting his career in the UK. He co-founded Quantcast in 2006 after moving to San Francisco, after deciding he wanted to apply machine learning to Internet data. Following the launch of Quantcast, the team rolled out Quantcast Measure, which tracked customer behaviour online, followed by Quantcast Advertise in 2009, which focused on analysing customer’s product purchases via machine learning to discover any historical patterns in media consumption that could be used to prospect new customers. One of Quantcast’s primary areas of focus and education as digital advertising matures is around attribution. Locally, the company was instrumental in Royal Carribean’s split-funnel attribution model and new metrics to gauge its digital marketing and open up new customer insights. The cruise liner group decided to splits its marketing activity into brand awareness, prospect and retargeting, but found it difficult to find a fair metric that illustrated the success of early-stage campaigns. So it turned to Quantcast and its split-funnel attribution tool online in mid-2015. Since adoption of the new attribution approach across the brand, the cruise liner has seen a complete change in its approach to customer funnel management, and there are now plans to extend this to the group’s two other brands this year. “Too much of success in marketing today is seen as retargeting,” Feldman said. “People don’t buy a cruise the first time they ever go to a website. But inadequacies of attribution creates the danger and waste of repeated ad overload via retargeting. Quantcast A/NZ managing director, Andrew Double, said the ultimate ambition for marketers should be to drive interactions with more valuable customers. Feldman claimed prospects that Quantcast Advertise brings to the site are on average 3.3 times more likely to convert than the average visitor. “We have a great new retargeting product as well, but if you don’t fill the tunnel, there’s nothing retargeting can help you convert,” he said. Feldman and Double agree marketers still have a long way to go to effectively leverage the full potential of retargeting capabilities. It is not about being smarter, but about the willingness to experiment, added Feldman. “You never really know what works until you test it out,” he said. “Marketers that are willing to experiment have an opportunity to really gain an advantage, which is not really that different to the time marketers were experimenting with how to leverage search. “Many big businesses today became so large because they worked out how to be effective in using search, like Priceline. The same opportunities lie in programmatic, because it is going to be the vast majority of all ad spend and how you as a marketer will effectively use data to understand your customers, to reach your customers and understand what incrementality really is. 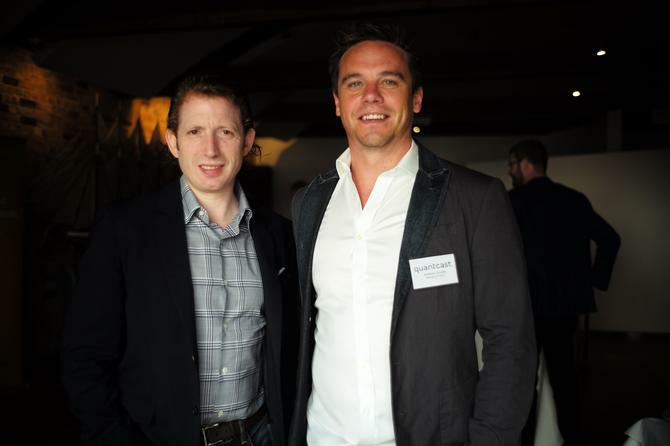 Quantcast's executive duo admitted trying to convince marketers to take on emerging technology is no easy feat, especially considering the proliferation of new offerings on the market and the ongoing concern of whether the investment will bring a positive ROI. “It all comes down to ROI and the scale of ROI,” Feldman said. “In our industry, we’re seeing it all the time. People want the best return on ad spend, but they also need to look at the best scale of return for ad spend. And that message tends to get lost. “Marketers can use data to start getting more sophisticated about that return. For instance in the hotel industry, the goal is not how many bookings are made, but what is the real value of each booking. It’s about looking at the life time value of those customers.